Niagara Falls is one of the most visited tourist destinations in North America, with more than 30 million tourists visiting either the American side or the Canadian side each year. Two of the hottest properties on the Canadian side are up for sale — Casino Niagara and Fallsview Casino — and with the two Canadian companies in the running for the casinos dropping out, it appears that one of three American companies will win the bid. Fallsview Casino Resort is directly connected to a Hilton Hotel located next to it via several walkways. Currently, the casino has 200,000 feet of gaming space, with 1,300 slot machines and 130 table games. Table games include poker, baccarat, roulette, craps, and blackjack. The casino also has 20 restaurants and an entertainment venue with an intimate 1,000-seat theater for live performances. Casino Niagara features half the gaming space of Fallsview and has the same number of slot machines, but fewer tables. However, it does offer more in the way of a variety of table games, including several varieties of poker. There is no hotel attached to this property, and it has three restaurants. The casino also caters to a different crowd than Fallsview. While Fallsview attracts tourists who plan to stay for a few days, Casino Niagara attracts customers who come to the area on a bus for the day and then return to their homes. In addition, Casino Niagara is in the market for players who want to wager $5 or less per game on the slot machines, while Fallsview aims for a crowd of people who want larger wagers. Both casinos would make a nice package bid for one of the companies. 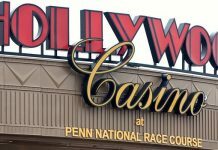 The companies are bidding on the ability to lease the two casino sites for 20 years, and three American companies are still in the running. The bid will not be unsealed and the winner revealed until later this year. Caesars Entertainment, which is one of the largest gaming companies in the world, has set its sights on the casinos. Caesars has revenue of more than $8 billion, and dozens of casinos worldwide. Hard Rock Entertainment, owned by the Seminole Tribe of Florida, recently purchased and renovated a casino (the former Trump Taj Mahal) in Atlantic City. The Mohegan Tribe is also interested in the casinos, but the tribe is considered a long shot, primarily because it does not have a long-running track record of successful casino operations, and the Ontario government is seeking to earn revenue from the two casinos. The largest criticism of the casino bids may come from the Canadian government itself. The Canadian government has expressed concerns that there is no longer a Canadian company in the running. 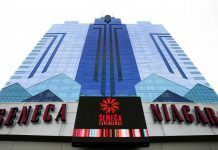 The provisional government of Ontario is concerned that because all three American companies have ties to New York or New Jersey, their real goal in bidding on the Niagara Falls casinos is to attract gamers away from the Canadian casinos and toward the American casinos, especially since these casino companies are heavily in favor of single sports gaming opportunities. In fact, both Caesars and Hard Rock are seeking to include online and on-site sportsbooks at their casinos in Atlantic City. Canada does not have single sports gaming at all and is not expected to get the opportunity to include single sports gaming before 2019. It is concerned that by awarding a bid to an American company, the country or its citizens will not benefit, but put additional revenue in the pockets of American companies instead.